Roméo Dallaire: Are Child Soldiers Any Less Human Than Your Kids? A single question struck General Roméo Dallaire when he stared down the barrel of that AK-47. Nearly 20 years later, it’s a question that haunts him as much as it keeps him breathing. How do I get that child’s finger off the trigger? 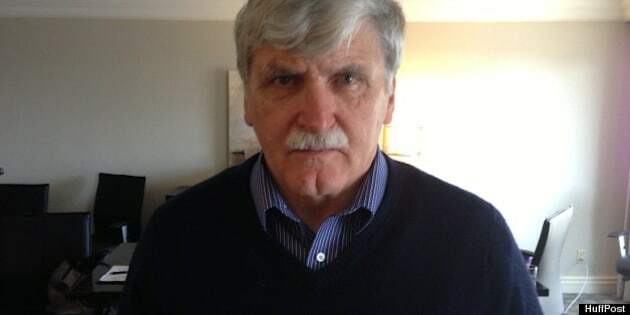 Dallaire, sitting down for an interview on Saturday before the Canadian premiere of the film "Fight Like Soldiers, Die Like Children" at the 2013 Hot Docs International Documentary Film Festival, says his life now revolves around that thought. By now you know that in 1994, Dallaire served as commander of the United Nations Assistance Mission for Rwanda. He received orders to stand by as a genocidal civil war ravaged the country, with 800,000 Tutsis and moderate Hutus slaughtered in 100 days. You know he shook hands with a devil. You know he returned to Canada, broken, and tried to kill himself if only to put an end to the dreams. You know he became a senator and Officer in the Order of Canada. But chances are you’ll never know what it is like to have your life in the hands of a child soldier. So he opens up — this strong, proud man — about the day, almost two decades ago, when a frightened youngster in Rwanda put a gun to his face. But what makes them so dangerous — and ultimately so useful to the warlords and tyrants who recruit them — is their wild unpredictability. No way of knowing if there might be an accidental slip of the finger or deadly rush of adrenaline, he explains. No way of knowing what will happen next. Survival began in that instance with convincing the child to get his finger off the trigger. But it’s not just troubled children Dallaire wants to convince these days, it’s the men behind them. The general’s new focus is to eradicate the use of child soldiers through The Roméo Dallaire Child Soldier Initiative. The group says there are 250,000 children who have been recruited, often by force, to fight in armed conflicts around the world. The film, directed by Patrick Reed, follows Dallaire’s work in Africa, specifically the Democratic Republic of the Congo and South Sudan where many boys and girls are stolen from their families, abused, raped, drugged and turned into killers. It captures the innovative way Dallaire’s group is attempting to end this scourge of humanity, not just through research and training, but by staring down and shaming the commanders who put kids on the battlefield in the first place. Dallaire says the use of children in Rwanda was prevalent. He recounts watching packs of “wild-eyed, drugged-up” kids use machetes to slaughter with reckless abandon. “It was interesting that the adults always seemed to be more in the back,” he says. Founded in 2008 and housed at the Centre for Foreign Policy Studies at Dalhousie University, Dallaire’s Initiative works with military, police and peacekeeping forces to interrupt the recruitment of kids by armed groups. It’s an international partnership that includes the United Nations Institute for Training and Research. But where other programs focus on convincing kids to put down their weapons, the Initiative appeals to militia leaders directly and attempts to convince them it is disadvantageous, from a purely tactical side, to use a child in war. “That’s something that nobody else is attempting to do on this issue globally,” says Shelly Whitman, executive director of the Initiative. A key part of that process involves sending Dallaire to challenge these men on a personal level, often by appealing to their very manhood. “When another military leader sits down... and says (he) has no respect for you because you use kids, it’s a very macho thing,” Reed says. Dallaire is confident that speaking with militia leaders directly will ultimately reduce the use of kids as instruments of war. He says his group has already been given the mandate to train the Sierra Leone army and police, as well as write curriculum for the primary school system to show children how to avoid recruitment. And he’s willing to do whatever it takes because he knows that a child soldier with a bloody machete or a gun to the face of a general is still just a child. And to Canadians who hesitate to get involved or believe the problems in Africa are a world away, Dallaire has more haunting questions.